This is crazy. 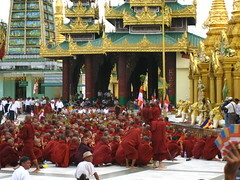 35,000 Monks. Leading a huge protest against a repressive government.